Leave a comment on THIS post through Tuesday, September 26, 2017 to be entered in the DRAWING for a copy of the book below. If you mention in your comment that you’re a follower (see in the left sidebar “Join This Site” and “Follow by Email”), I'll add your name a second time in the drawing. U.S. mailing address required to receive a paper book. I may or may not have read books offered for giveaways. The mention and giveaway of books on my blog does not in any way indicate any manner of my endorsement of said books. Read book giveaway details at Disclaimers. To provide you security, please leave your email address like this: johnATyahooDOTcom. Winner announced in next Thursday's blog post. HIStory to life. 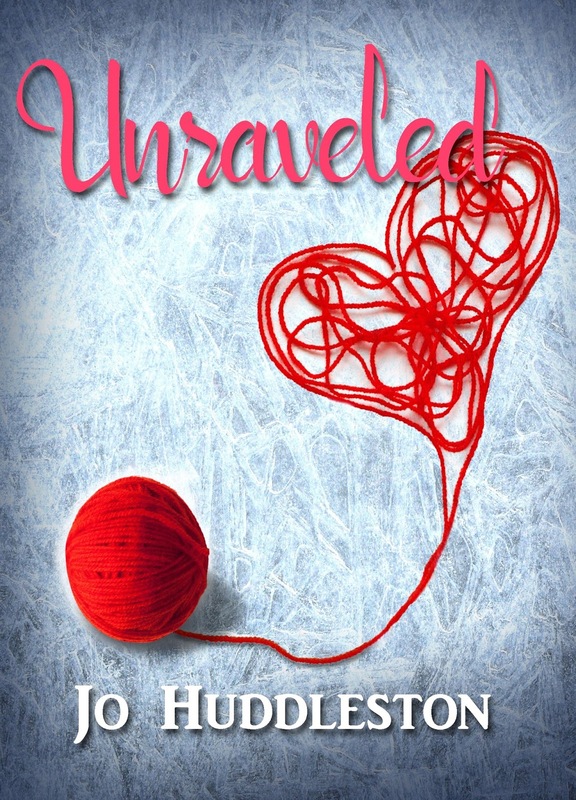 She has a passion for travel, history, books and her Savior. 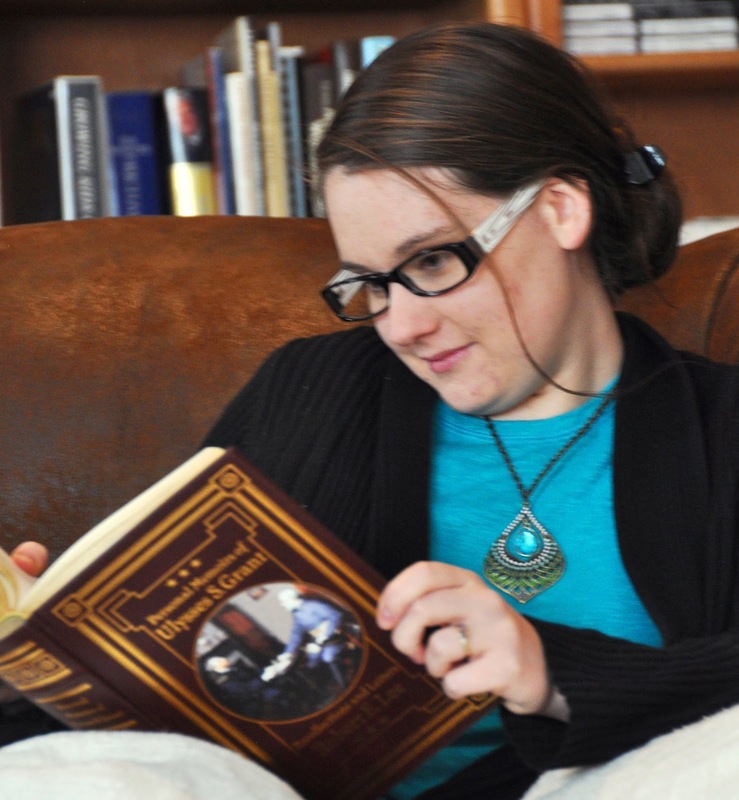 This combination results in what her readers call "historical fiction at its finest." Her title, Dawn of Liberty, was awarded the 2017 CSPA Book of the Year award in Historical Fiction. She lives in Colorado and spends half her time volunteering in the Ozarks. 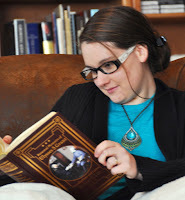 Amber is a proud member of the American Christian Fiction Writers Association. Visit her website and download a FREE story by subscribing to her Newsletter! Welcome, Amber, what is your favorite season? I can’t make up my mind as to whether I like fall or Christmas season better. Christmas season is so wonderful with all the decorations, the carols, the lights, the Christmas movies and stories, the merriness of the season, the peppermint, the get togethers with the people you love, the openness that people have to Christ during this time of year…what’s not to like? And fall leads right into that. I also love how beautiful it is, even though everything is dying off for the winter. It reminds me that there is a beauty in death. A beauty only God can show. And a promise of resurrection. Would you rather go to the future or go to the past? Oh, the past for sure! I grew up wishing there was a real life Imagination Station that I could hop into and travel back in time. There are so many events I would have loved to see, from Jesus walking the earth, to the signing of the Declaration of Independence, to the faith of General Lee, to the character of Abe Lincoln. Goodness, what fun it would be! Are you a fast writer or a slow writer? I feel like I’m a really slow writer. But I have been working on getting faster. My top speed is about 1,000 words per hour, but I usually average around 700. Y’all or You Guys? Mostly ya’ll, though I do tend to use both since I spend a lot of time in Colorado and the South. Biscuits or Dinner Roll? Dinner roll. Especially if the rolls are from Lamberts. Laptop or Desktop? Laptop. I just got a new one. His name is Enoch and I’m hoping he will fulfill his name and never die on me. Mug or teacup? Mug. Ain’t enough room for coffee in a teacup. Please tell us a little about your novel, Solve by Christmas. real case. But dear Mr. Rudin—the only father Jasper has ever known—holds a different assignment for his private investigator. Where can readers purchase Solve by Christmas? Amber, thanks for visiting with my readers and me. 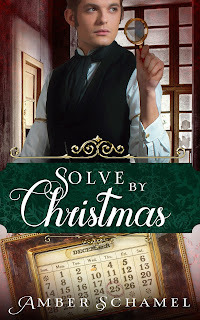 Amber is offering an eBook copy of Solve by Christmas to one commenter to this blog post. Commenters, to enter the book drawing please leave your comment on this post through September 26, 2017 and remember to leave your email address so I can contact you if you’re the winner. The winner of last Thursday’s blog post for a copy of The Christmas Admirer by Laura V. Hilton is Jackie. I’ll email you. Thanks all for commenting. Watch for more book giveaways. Thanks so much for hosting me today, Jo! Amber, it's my pleasure to have you visit me and my readers. It was a fun mystery to write, so I hope it's fun to read. Thanks for stopping by. Cynthia, thanks for coming by and leaving your comment. this sounds like a great book. wonderful interview. I have not read too many mysteries, but would like to give this one a try. Lori, glad you enjoyed the interview with Amber. Thanks for commenting. Sounds like a great book. Hope I can win the giveaway. Thanks for stopping by! Best wishes in the giveaway. Thanks for commenting. I NEED YOUR EMAIL ADDRESS TO ENTER YOU IN THE BOOK DRAWING SO IF YOU'RE THE WINNER I CAN CONTACT YOU. You have provoked my interest, this sounds like an interesting story! Thank you, Wendy! I hope you get a chance to read it. Wendy, thanks for leaving your comment. Hi,Amber. This book sounds like a perfect read for the holiday season. I have a December birthday so if I should be so fortunate as to win, I will consider it an early birthday present. Thank You for the opportunity to perhaps win it, and for letting readers know more about you and your book. Happy early birthday! I hope you get a chance to read Solve by Christmas. I think it will be a heartwarming and fun addition to your holiday collection. Janice, thanks for coming by and commenting. Happy early birthday, Janice! ;) I hope you do get a chance to win a copy. I've got a whole lot of giveaways lined up during this month for the release. Robin, thanks for stopping by and leaving your comment. Aw, thanks so much, Robin! Thanks for stopping in today. Hello Amber and Jo. I enjoyed Amber's interview. Her book sounds like a really enjoyable read and a real page turner. Thanks for the opportunity. I hope both you, Jo and Amber, are going to have a very wonderful fall. God Blessings to you both. Donna, glad you enjoyed the interview with Amber. Thanks for commenting. Thank you for the good wishes and blessings! I will be very happy when the weather matches the season. LOL. Here in Missouri it has still been hot. Thanks for stopping by! Happy fall to you. This sounds like an interesting story! I am a follower. Thanks for this giveaway. Donna, you're welcome. Thanks for following my blog and for commenting! Mark, you're entered. Thanks for commenting. This one looks really good! I've just been seeing it recently on different blogs & it sounds like something I'd enjoy reading. Thanks for the interview and giveaway chance. Trixi, you're welcome. Thanks for following my blog and for commenting! Hello Trixi! Thanks for stopping by and for following Jasper to different blogs. :) Best wishes in the giveaway! Sounds like Jasper has quite a problem on his hands! I haven't read anything by Amber, thanks for the interview and chance to win. Patty, you're welcome. Thanks for coming by to leave your comment. He certainly does, Patty! And a few he didn't know he had either. ;) Don't you just love those? LOL. Autumn is my favorite season too. I say y'all because I'm a southerner. :-) I also collect mugs and teacups. 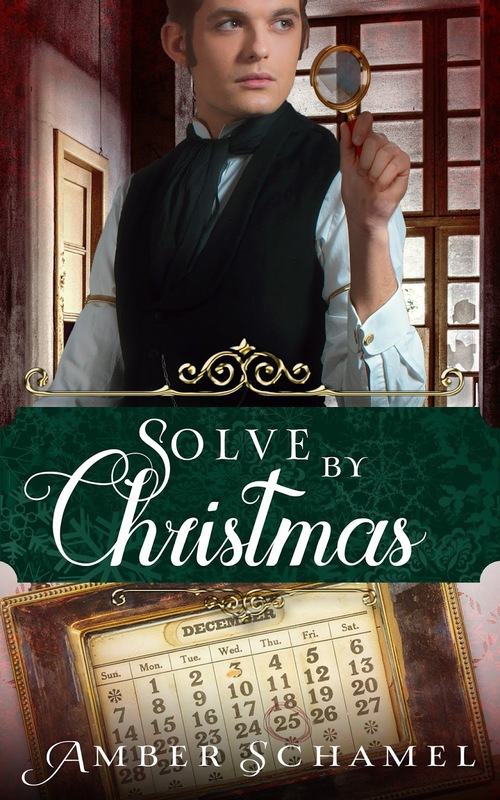 Solve by Christmas sounds like a mystery I would enjoy. TY for the opportunity to win a copy.